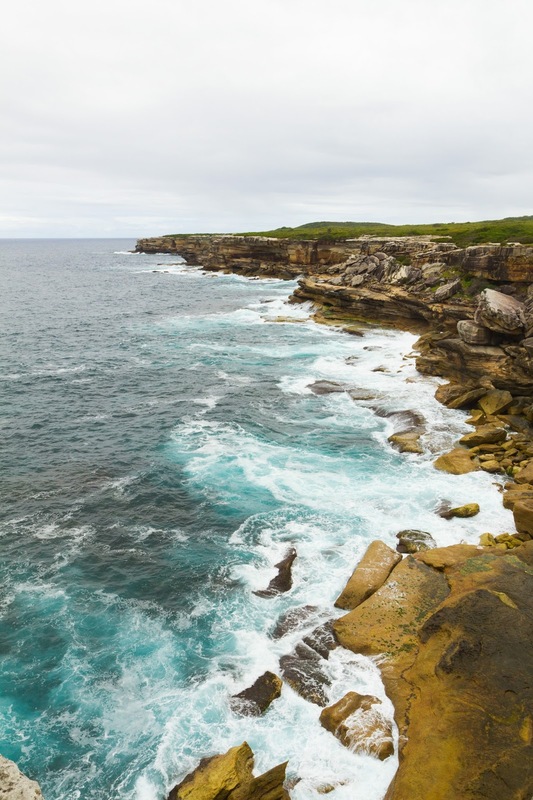 After being cooped up from the rain for the past couple of days, Ollie suggested we take a little drive over to these beautiful cliffs at Kurnell. 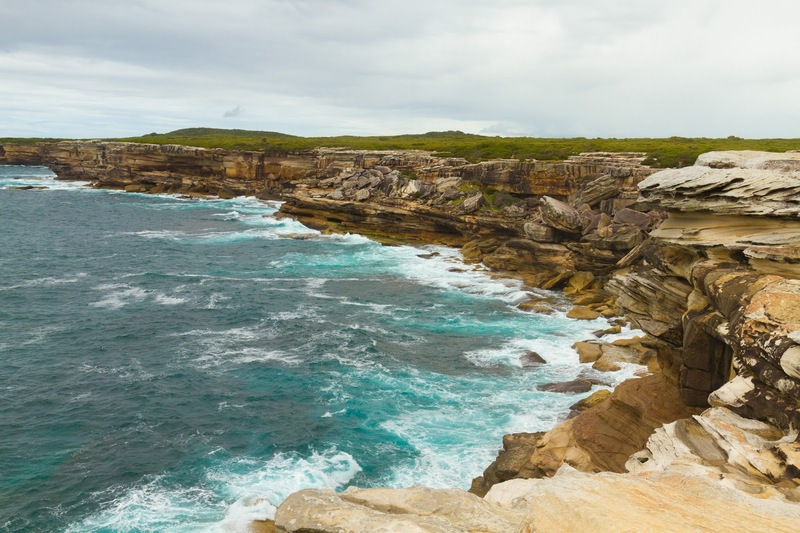 We had been the the area in the past as it is right near Captain Cook's landing place (when he discovered Australia), but we hadn't ventured up into the national park. It was actually Ollie's first time visiting this spot as well and we couldn't believe this was so close to his family home! What a beautiful hidden gem this turned out to be. It was actually relatively quiet compared to everywhere else in Sydney at the moment and I wonder if it's maybe off the tourist track. I have no idea why this would be the case but I can't say I minded one bit. It was absolutely stunning and we practically had the place to ourselves. Apparently there are frequent whale sightings from this point as well, and even though we weren't lucky enough to see one, it was still worth the visit. I had initially worn a jacket, but it turned out to be quite beautiful once we got out of the car. There was definitely a fair share of wind, but the air was warm and the sun was just starting to peek through. I had on my trusty One Teaspoon shorts and Nikes and decided to give this Zaful dress a try as a top. I received it just before Christmas and even though it is suuuuper cute, it's just a bit too short for me to wear as a dress in public. At the beach, it would be a different story and I think it would be really cute as a bikini cover-up, but for regular days -- not so much. I am glad that it works just as well as a top and this way I'll get tons of use out of it. I couldn't find it on their site anymore, but there's plenty of other cute ones to choose from. Super inexpensive too! I love this post and your outfit also you have stunning look.Thank you so much for sharing.You look like an angel at this beautiful cliffs at Kurnell. You look like Behati Prinsloo!! Can I ask what size you take in the bandit shorts? I've been thinking about getting some and we are a similar size.